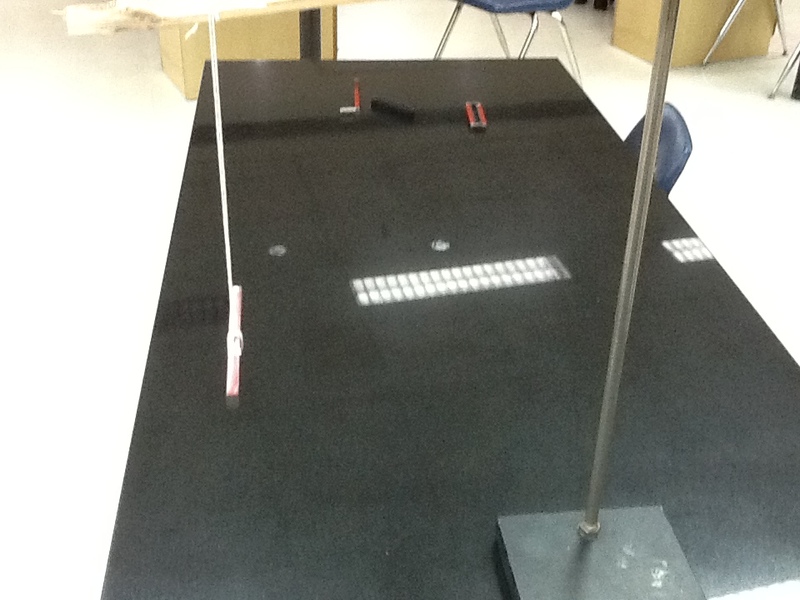 Assess with probes–partners 4 probes and then individual 2 probes. 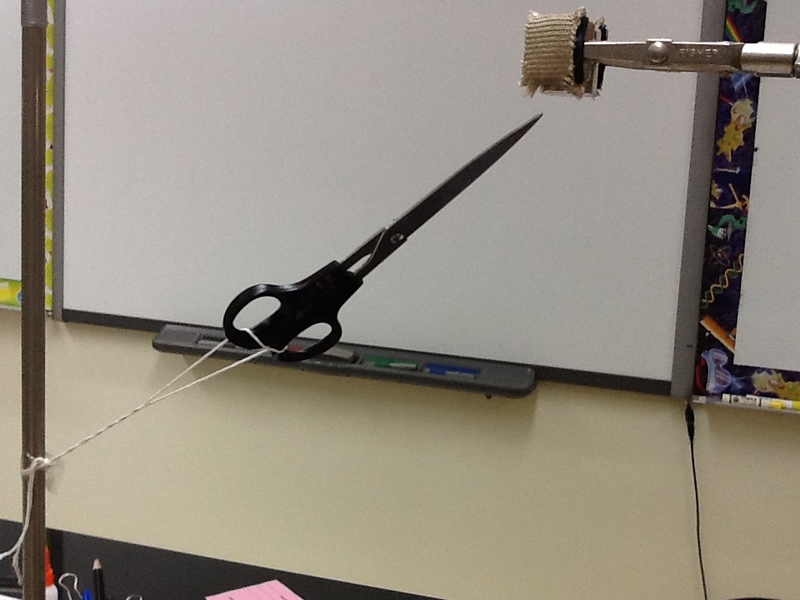 Also–offer in writing on lined paper (put photo in your digital science notebook) a possible explanation for the spinning toy. How do you think it might work? Use diagrams and good thinking. 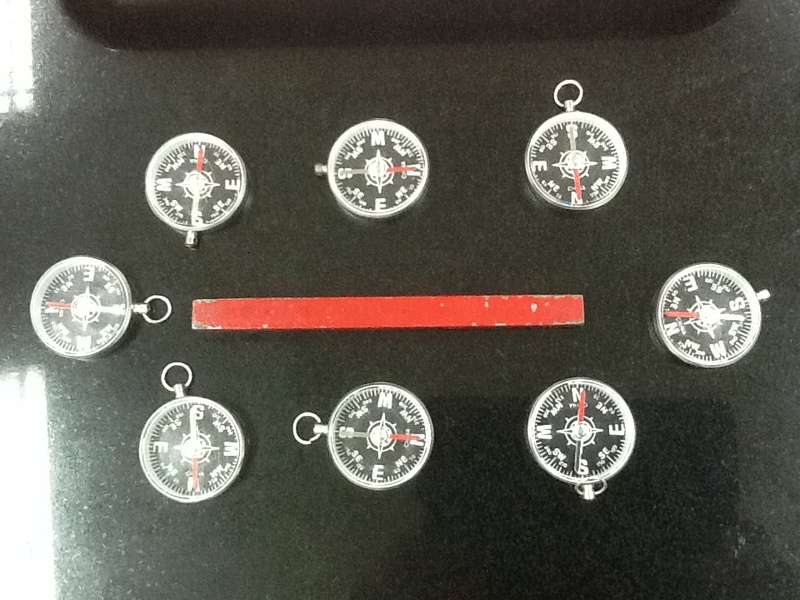 Show your simple machines homework. Set up a bar magnet as pictured above. Let it come to rest. What do you notice? How do you think this might work? 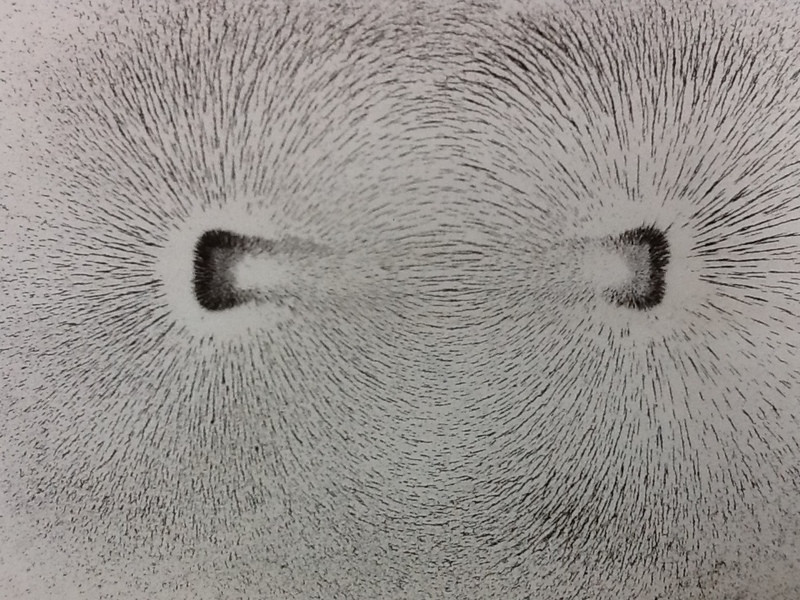 Magnetism is an example of a force that “acts at a distance.” What could that mean? 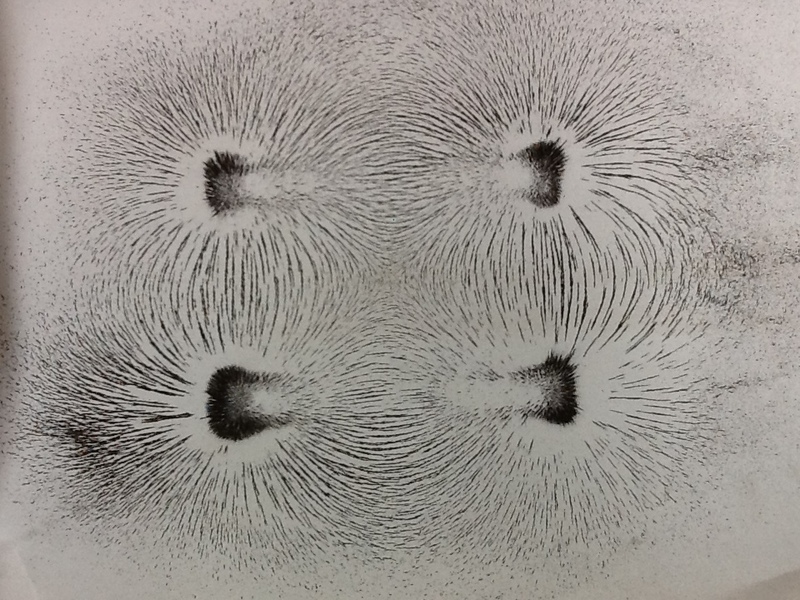 What does this patterns suggest about the “shape” and “structure” of the magnetic field around the bar magnet? What do you see? 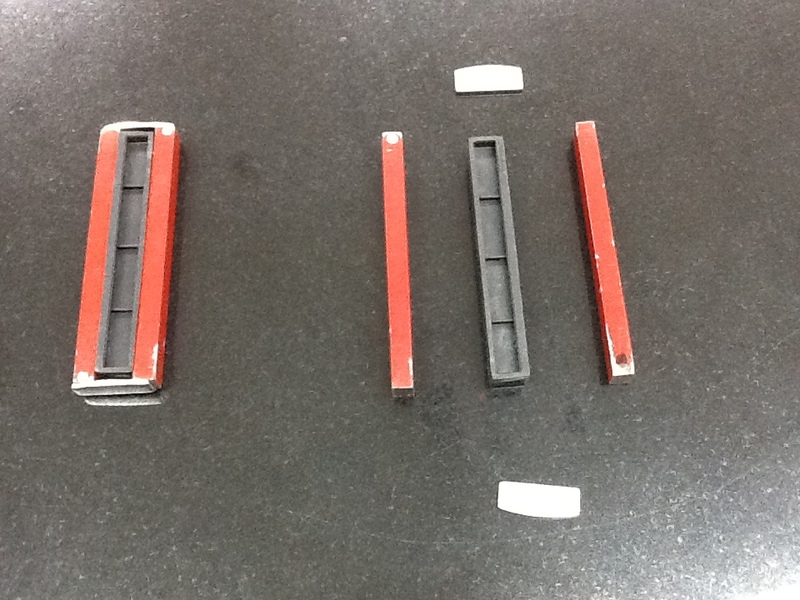 How do you think the magnets are arranged? Why? 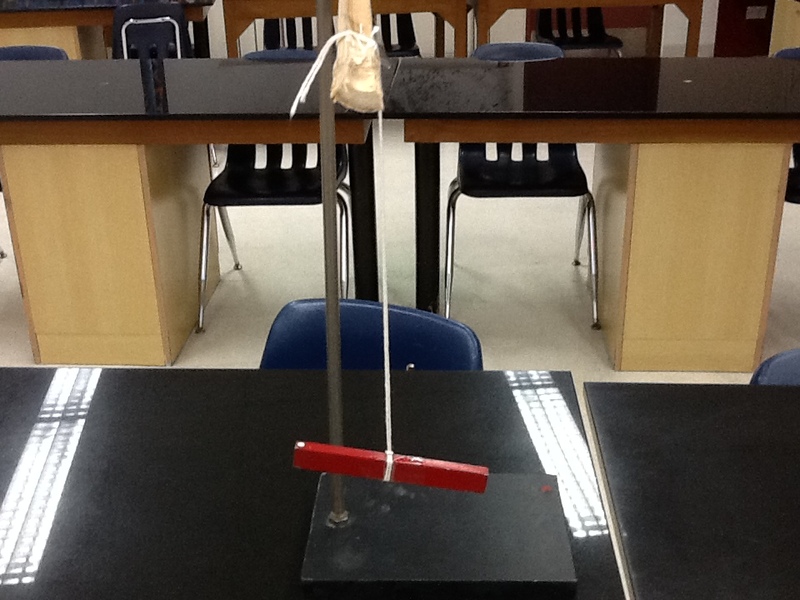 Which force is stronger–magnetism or gravity? Is this a legitimate question? Why or why not? 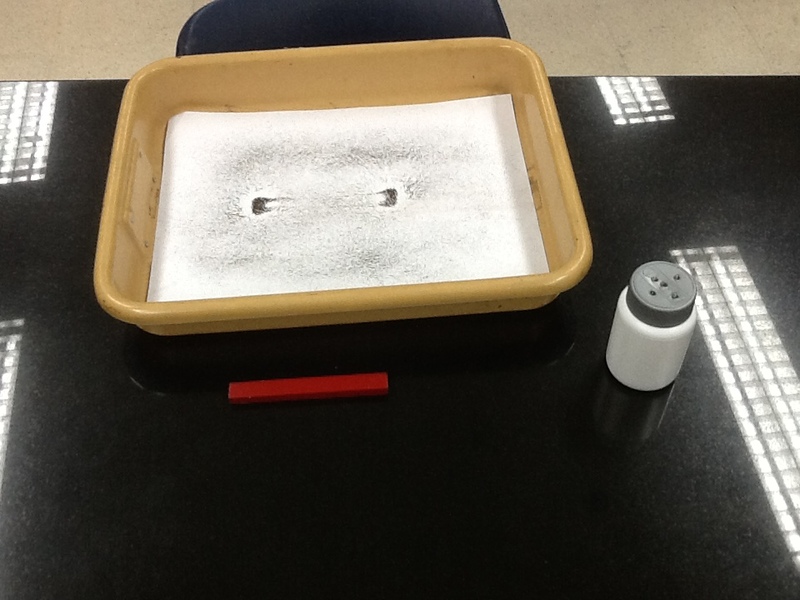 What other questions do you have about magnet and magnetism?